Exit at Exit 60, Ronkonkoma Ave.
Stay on the Eastbound Service Road. Make a Right at traffic light on Hawkins Ave.
Drive South about 2 blocks. Look for Our Shop on your Left. Get off at Exit 60, Ronkonkoma Ave.
Make Left turn at the First Light, Hawkins Ave. Go over the LIE bridge, drive South for 2 blocks. 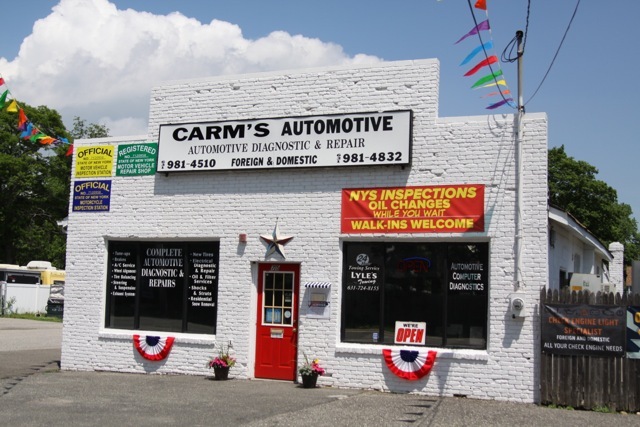 Look for Carm’s Automotive on your Left.